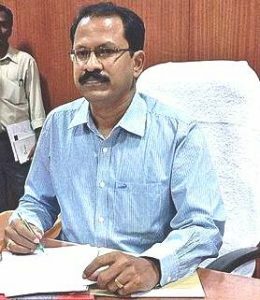 Mr. K.S.Palanisamy, a 2005 batch IAS officer, had initially served in the State Civil Service (SCS) as Personal Assistant to Dindigul Collector, Revenue Divisional Officer at Perambalur and District Revenue Officer at Sivaganga, before got the IAS conferred. He got the conferment into the Indian Administrative Service in June 2011 and was allocated 2005 IAS batch with retrospective effect. Subsequently, he had served as District Collector in Theni and Trichy before taking over as Collector in Tirupur district. Mr. Palanisamy is a veterinary doctor by qualification.